Hatfield Hotel is located at No. 11 Etang O. Obuli crescent off Idris Ibrahim Crescent by Jabi Golf Course, Jabi, Abuja. It is only a few minutes drive away from Abuja main business district. Hatfield Hotel boasts 24 rooms that are grouped into Classic, Royale, Majestic, Business suite, and Meeting room. 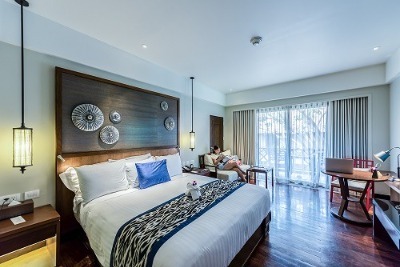 These rooms come with nice facilities such as flat-screen television sets with multi-channel satellite connection, sofas and centre tables, luxurious beds, Air conditioning, en-suite bathrooms with shower, study desks and table and mini refrigerators. Some of the facilities at Hatfield Hotel, Jabi are: A restaurant, bar/lounge and wireless internet connection. Also, a bunch of great hotel services are on offer at Hatfield Hotel, Jabi, such as: Round-the-clock power supply, adequate parking space, tight security, POS and 24 hours room service. Q: Is there an availability of internet facilities at Hatfield Hotel? A: There is free high-speed wireless internet accessibility for all guests to use throughout the Hatfield hotel premises. Q: Does Hatfield Hotel have enough parking space? A: Ample spaces are provided at the Hatfield hotel for guests to park their cars. Q: Is there room service on offer at the Hatfield Hotel? A: Yes. It offers room services for guests. Q: Does Hatfield Hotel have a Bar/lounge? A: At Hatfield Hotel, there is a well-stocked bar/lounge with a collection of top range beverages on offer. Q: Is there a gym/fitness centre at Hatfield Hotel? Hatfield Apartments, Jabi is a budget hotel in Jabi, Abuja. I had a good time at the hotel, the room was well furnished room with lovely tiles on the ground that were shinning bright and sparkling clean. I deeply regret that I only had to spend one night at the hotel. One yardstick I measure hotels with is the cleanliness and quality of linens. This hotel met both expectations. I have stayed here twice and would stay again. Conveniently located close to the event center. I will definitely visit again and again anytime I'm in town. I'm a sucker for clean places and that was like the first thing I noticed when I entered the premises. The attitude of the staff also was very welcoming. My room had all the amenities necessarily needed. It's a really nice place. I had an awesome time at the hotel with no complaints at all. My reservation was already booked and ready when I got to the hotel. I checked into the hotel without much delay. I had a pleasant rest that night and checked out early the next day. I had a fantastic experience. The hotel was really fun from check in to check out. The beautiful reception first attracted me, then the very spacious room. The staff were really impressive too, they really made me feel like I was home. I could not taste their meal because of my short stay but I will definitely try that out on my next check in. Have nice pictures of Hatfield Apartments, Jabi?